Luke's progeny also did very well!!! Chi O´din Norway: Exc1, CQ --> NORWEGIAN JUNIOR WINNER!!! Acrobatix Baby Doll Exc3, CQ!! The puppies are growing and are all fine <3 One month old today! This weekend we attended on a nat. show. One male might be available. MULTI CH Tangetoppen's Jedi Luke Skywalker Exc1, CQ, Best male, CACIB, BOB --> COPENHAGEN WINNER-13!! Read more about the litter HERE. 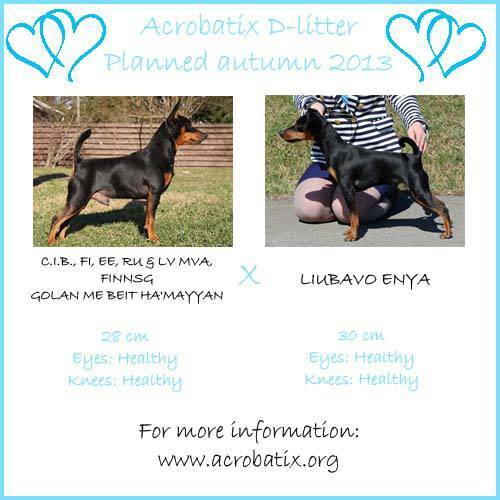 This weekend 3 of the Acrobatix dog's were in the ring, two of them for the first time! We have been attending two shows in Geneva, Switzerland. Luke's gorgeous daughter Tangetoppen's Secret Love "Indy" became EUROPEAN JUNIOR WINNER-13!!!! Luke's progeny did very well!! Chi O´din Norway, juniorclass, Exc1, CQ, BEST MALE, CAC, BOB!! Tangetoppen's Secret Love, Juniorclass, Exc1, CQ, BEST FEMALE, CAC, BOS!! 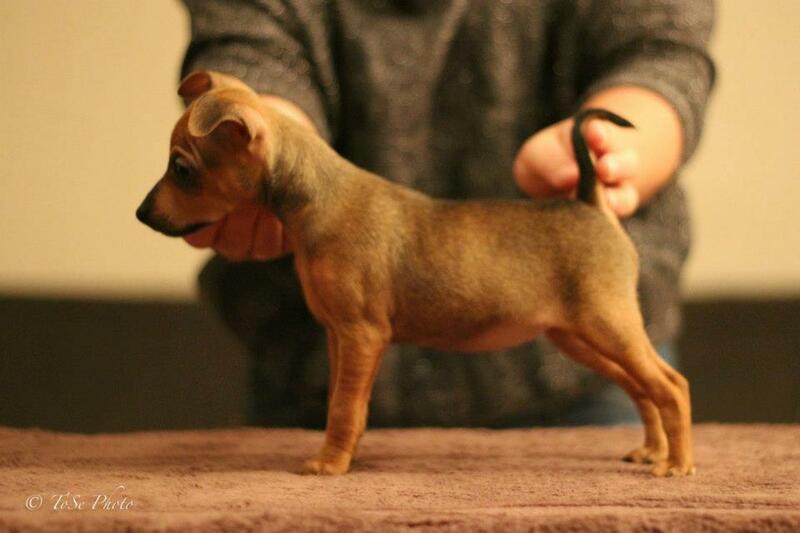 This weekend Acrobatix Cuba Cactus attended on his first puppyshow and did great! He became BOB and BOG-2!! Breed judge: Mette Tufte, group judge: Erwin Deutscher. Yesterday we partisipated on Int Show in Sweeden with great results! MultiCH Tangetoppen's Jedi Luke SKywalker Ex1 championclass, CQ, Best male, CACIB, BOB --> INTERNATIONAL CHAMPION!!! Acrobatix Baby Doll: Exc 1 juniorclass, CQ, 3. Best female! This weekend we went to 2 x nat. show in Norway and it went very well for my dogs!! Acrobatix Born Wild: Exc1 juniorclass, CQ, 2BM, CAC! MultiCH Tangetoppen's Jedi Luke Skywalker: Exc1 championclass, CQ, Best Male, BOB and Shortlisted in Group! Acrobatix Baby Doll: Exc1 juniorclass, CQ, BEst female, CAC and BOS!!! MultiCH Tangetoppen's Jedi Luke Skywalker: Exc1 championclass, CQ, Best Male, BOS! Acrobatix Baby Doll: Exc1 juniorclass, CQ, 3. Best female, Res. CAC! We have been on a few show's since last time I updated, and brought home som great results!! Acrobatix Born Wild: Exc1 (Juniorclass), CQ, 2. Best male with CAC!!! MultiCH Tangetoppen's Jedi Luke Skywalker: Exc1, CQ, Best male, BOB and BOG-2!!! Last weekend it was Int. Show in Trondheim,Norway. 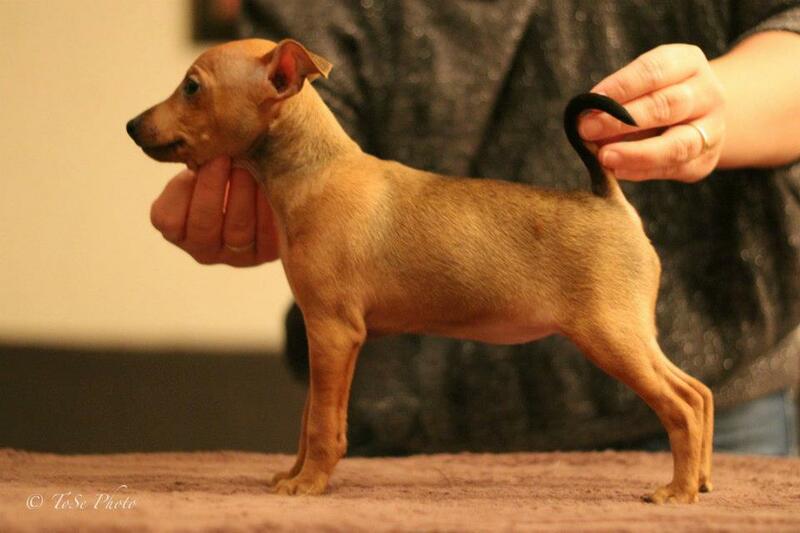 Judge was John Muldoon and it was 44 minpins entered. Last weekend the Norwegian Pinscherclub had their club show. 74 mnpin was entered for judge Branislav Rajic. Luke really had his day and went all the way to Best male, Best of breed and ended as Best In Show-2!! I'm speachless!! First time out in juniorclass in Norway for Acrobatix Baby Doll this weekend, and she did very well!! Saturday, judge: Wesly Mccrum: Exc1, CQ, 2 best female with CAC!! Sunday, judge: John Muldoon and Francesco Cochetti: Exc1, CQ, best female and Best Of Breed – Later Best Of Group-2!!! 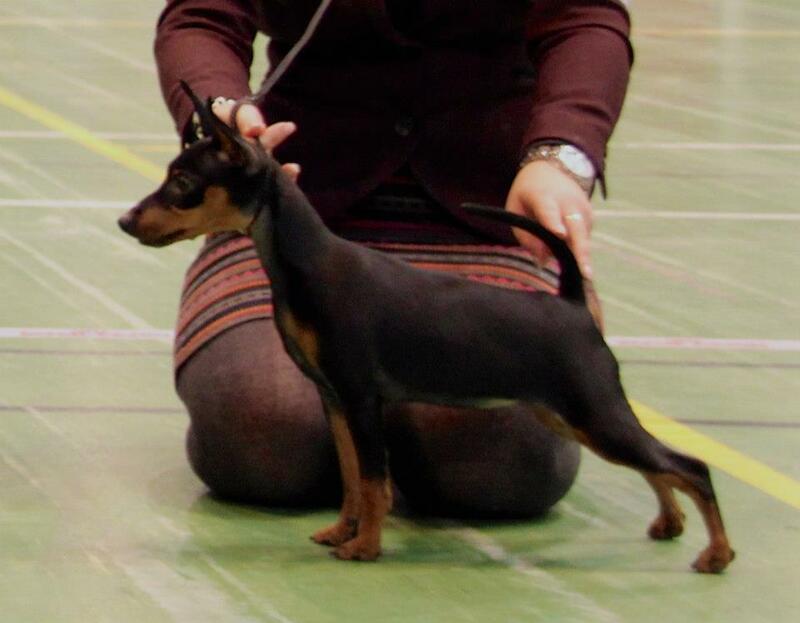 Acrobatix Born Wild EXC-4 first time in juniorclass at WORLD DOG SHOW!! NORD N SE DK FI HR CH JWW-12 DKKV-12 Tangetoppen's Jedi Luke Skywalker EXC-4 in championclass and the only one with natural ears and tail who got placement in the class at WORLD DOG SHOW!!! NORWEGIAN, SWEDISH, DANISH, FINNISH and NORDIC CHAMPION!! Yesterday Acqua had her puppies! I'm so proud and happy over my dogs!! Another great weekend is over, and the dogs have done great!! Yesterday it was time for the first show of the year! In competition with other puppies and even older puppies Acrobatix Born Wild became best male and BOB and Acrobatix Baby Doll became best female and BOS :o)))) Judge was Zorica Saljievic. Both girls are superhappy and outgoing and very promising. We had a really great year in 2012, and I'm really happy and proud of Luke's results and what he achieved since he became junior in february!! Now I'm looking forward to what 2013 will bring! I'm also really looking forward to my C-litter who is planned this spring!